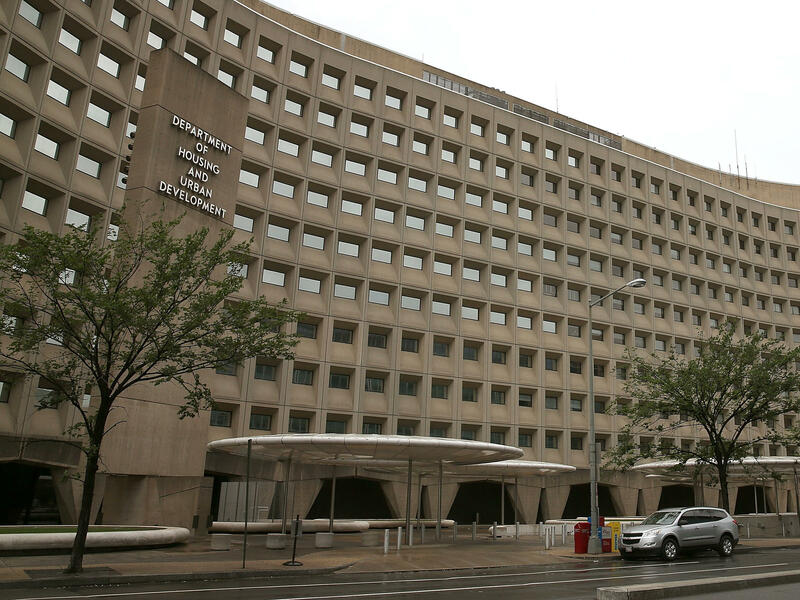 HUD says 1,150 HUD federal rental assistance contracts with property owners were not renewed because of the shutdown. Another 500 agreements will expire at month's end if shutdown continues. With the partial government shutdown on the verge of becoming the longest in U.S. history, many housing advocates fear thousands of low-income Americans are at risk of being evicted. More than 1,000 government-backed housing contracts have already expired and potentially more will do so in the coming weeks. Since the shutdown began last month, approximately 1,150 federal rental assistance contracts have not been renewed due to funding lapses at the Department of Housing and Urban Development. These lapses impact Project-Based Rental Assistance agreements between private property owners and the federal government. These landlords are contracted to house low and very low-income residents. The property owner charges tenants modest rents and HUD kicks in subsidies to make up the difference. While the expired contracts so far only account for about 5 percent of HUD's project-based contracts, it is causing concern that more of the 1.2 million low income families housed in these multifamily properties will be in danger of losing homes as the shutdown lingers. In a letter to landlords earlier this month, first reported by the Washington Post, HUD urged property owners to dip into their reserve accounts "to cover funding shortfalls" as a way to try to keep tenants in place. The National Low Income Housing Coalition, an advocacy group, mapped the expired and soon to be expired HUD contracts to highlight the impact the shutdown is having on low income renters. "Funding these contracts is necessary to keep about 150, 000 deeply poor, mostly seniors and people with disabilities safely and affordably housed," said Diane Yentel, President and CEO of the National Low Income Housing Coalition. Yentel worries that, with President Trump and Congressional Democrats at an impasse over border wall funding, the government will not reopen anytime soon. And that may force property owners to make business decisions that could adversely impact tenants. "Eventually these owners will have to resort to either significant rent hikes or evictions of these lowest-income renters," Yentel said. Eric Johnson is the executive director of the Oakland Housing Authority which manages approximately 550 project-based properties on behalf of HUD. Two properties he oversees, one in San Jose and another in Sacramento, have around 75 housing units between them. Johnson said neither of the properties received their January payments from HUD. "So they're functioning right now without really having any income from the program to support their efforts." Johnson said. He said those property owners, like many other across the country, will not be able to operate indefinitely from their reserves. He fears a prolonged shutdown is not good for the strength of the housing market overall. "I'm more concerned about them ending up going into foreclosure and bankruptcy on these properties than I am really about them evicting residents," Johnson said. Mary Cunningham is the vice president for Metropolitan Housing and Communities Policy at the Urban Institute, a Washington-based think tank. She said the lapse in funding may deter other would-be tenants from entering into a contract with HUD in the future. "I think this shutdown sends a very dangerous message to landlords, which is the government doesn't pay its bills," Cunningham said. Officials said HUD always repays landlords and that the department has had "no tenant evictions as a result of an interruption in housing assistance payments." But these are uncharted times. On Saturday, the shutdown becomes the longest in U.S. history. And in the coming weeks some 500 HUD more contracts expire at the end of the month. Another 550 expire by the end of February. The partial government shutdown has put many low-income renters and their landlords on edge, and here's why - they rely on money from the Department of Housing and Urban Development that amounts to subsidies. But HUD told property owners that they won't be getting that money during the shutdown, and they should use their own funds to compensate. With no end in sight, housing advocates say hundreds of thousands of Americans face the risk of being evicted from their homes. NPR's Brakkton Booker reports. BRAKKTON BOOKER, BYLINE: HUD has more than 20,000 contracts with owners of multifamily housing developments. When it comes to payments, HUD is typically reliable. This is how it usually works. The property owner houses multiple low and very low income residents, charges them modest rents, and HUD kicks in subsidies to make up the difference. But at the start of the new year, HUD said roughly 1,150 property contracts were not renewed as a result of the shutdown. And that has Diane Yentel very concerned. DIANE YENTEL: Funding these contracts is necessary to keep about 150,000 deeply poor, mostly seniors and people with disabilities, safely and affordably housed. BOOKER: Yentel is the president and CEO of the National Low Income Housing Coalition. She worries that with President Trump and congressional Democrats at an impasse over border wall funding, the government won't open anytime soon. YENTEL: And eventually, these owners will have to resort to either really significant rent hikes or evictions of these lowest income renters. BOOKER: HUD says the vast majority of project-based rental assistance projects are funded through February, but acknowledges, as the shutdown continues, more contracts will expire. Eric Johnson is the executive director of the Oakland Housing Authority. He works with two properties in the region, one in San Jose and the other in Sacramento, with about 75 housing units between them. He says neither got a January payment from HUD. ERIC JOHNSON: And so they're functioning right now without having really any income from the program to help support their efforts. BOOKER: HUD is asking these and other owners to dip into the reserve accounts to cover any money that HUD is unable to release. Johnson adds, many property owners won't be able to operate indefinitely from their reserve funds. This puts owners of low-income housing units between a rock and a hard place. Johnson says that's bad for the stability of the housing market overall. JOHNSON: I'm more concerned about them ending up going into foreclosure and bankruptcy on these properties than I am really about them evicting residents. MARY CUNNINGHAM: I think that's right. I think this shutdown sends a very dangerous message to landlords, which is the government doesn't pay its bills. BOOKER: That's Mary Cunningham, a housing expert at the Urban Institute. She says if landlords can't make up the shortfalls and residents are unable to turn to the government for help, there won't be many options for low-income tenants. CUNNINGHAM: And they'll be turning to family and friends, but also homeless shelters, living outside. BOOKER: Officials say, after past shutdowns, property owners have always been reimbursed. HUD adds they've had no tenant evictions due to funding interruptions. But we're in uncharted territory here. Starting tomorrow, this shutdown will be the longest in U.S. history. Some 500 HUD agreements will end by January and another 550 next month. Brakkton Booker, NPR News, Washington. Transcript provided by NPR, Copyright NPR.